Below are the top fun things to do in Curacao. 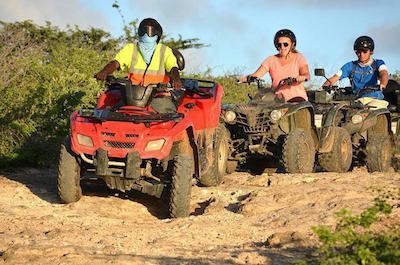 Ride along the beach on a quad-bike or take a hike through a National Park. Fish in the deep waters on a chartered boat or go underground to explore a massive cave filled with bats. 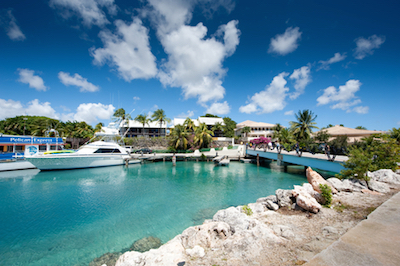 Relax at the picturesque waterfront and sample the local foods. Water lovers can snorkel and dive in stunning calm hidden coves surrounded by towering cliffs. To create memories that will last a lifetime, take a swim with the dolphins, these tours in Curacao will make your vacation memorable! This stunning island setting offers a myriad of things to do in Curacao on the water. Cruising and sailing are some of the most popular activities and there are a variety of tours to suit families, friends and romantics. Experience a full or half day adventure that takes you past pristine beaches and through mangrove regions. Your guide will thrill you with stories about the history of the Island and interesting facts above the wildlife. Experience an evening cruise, sip an exotic cocktail and watch the sun set over the ocean. For an unforgettable romantic occasion, a private luxurious sailing tour for two will delight as you see the sights from the water while enjoying delicious traditional foods and drinks. Exploring off the beaten track is another fun thing to do in Curacao. Join a tour and learn how to navigate a 4x4 or ATV. These rugged vehicles are made for fun and you can reach the most beautiful parts of the Island, unfrequented by the crowds. Take a two and a half hour 4x4 ride along the north west coast where you will discover historical sites and untamed nature. Stop at the Ostrich Farm and see a coastal blowhole. Alternatively, book an ATV tour. Your guide will give you a briefing and safety lesson. After being fitted with goggles and a helmet, you set off through the residential areas and then out towards the east coast, passing many famous sites on route. As an exclusive, you can visit a cave that many of the locals have not seen! 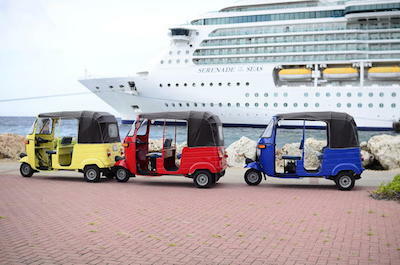 Sightseeing around the island is another fascinating thing to do in Curacao and one of the best Curacao activities. From the natural wonders of the Shete Boka National Park to the fun Tuk-Tuks in the city of Willemstad, there are Curacao attractions for everyone. Adults will love a cigar rolling lesson or a rum tasting session. Historians will be thrilled by the tour of the Dutch inspired Willemstad, which has been deemed a Unesco Heritage Site. Explore the Boka Tabla cavern and be awed by the flamingos strutting around in the old salt flats at Jan Kok. Tour the coastline and see natural jacuzzis and bathtubs formed by crashing waves. Then end your day relaxing on the pristine, peaceful Cas Abao beach. Getting your adrenaline going on a jet ski is another exciting thing to do in Curacao. Ride on a two-man Seadoo GTI or a custom-made aquaboat. The experience takes you out of the harbour, past luxury yachts and cruise ships. See the luxury villas set along the beach and then head for the more deserted areas where you will find mangrove swamps, coves and small hidden bays. You can take a beach break, stop and snorkel or dive into the depths. The tour ends at the lagoon near the famous Tafelberg, where you can relax and soak up the scenery. All the kit you need is provided as well as safety briefing and personalised attention from the knowledgeable guides. 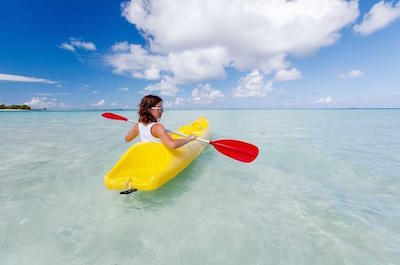 Kayaking is a lovely relaxed family-friendly thing to do in Curacao. Check it out if you are looking for some fun Curacao activities. Your guide will brief you and kit you up. Then follow him along the coastline at a leisurely pace while you see the famous landmarks and learn about the history of the Island. Land at a deserted beach and swim, snorkel, take a walk and soak up the sun. These remote spots are enchanting and cannot be reached by the masses. If you are a bit fitter, enjoy a two hour tour from Willemstad across Caracas Bay to Barbara Beach where you stop for a swim in the tropical waters. Kayaking kit is provided but don't forget sunscreen, towels and sunglasses! 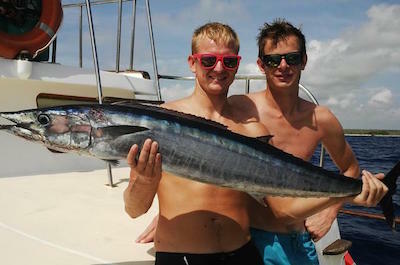 When making a list of things to do in Curacao, don't forget fishing! These waters offer an abundance of opportunities to catch the big one. 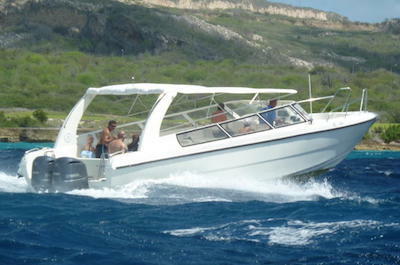 Full day charter deep sea fishing trips are offered for the experienced. Sail with an award-winning captain and set off to find tuna, marlin and wahoo. If you prefer something less intense, a half day trip leaves from the Spanish Waters or Fuik Bay and sails past stunning beaches and protected mangrove areas. You then head out to sea where the experienced guides will do their best to help you catch something to show off! This is a fun and relaxed trip for a small group with personalized attention from the crew. Taking a jet or speed boat excursion is one of the things to do in Curacao when you feel a need for speed and excitement. You will love the rush of adrenaline as you cruise at top speeds to destinations that include private beaches, snorkeling adventures as well as viewing the incredible Dutch-Colonial architecture as you take photographs from your comfortable jet or speed boat. You have excursion options that are family-friendly and group-friendly which will make for an exceptional day on the warm waters. 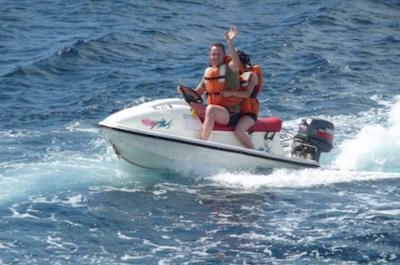 Jet boats and speed boats, some of the top Curacao activities are available with a variety of time possibilities from a couple of hours to a full-day adrenaline filled excursion. Whether you want to snorkel, sit on a private beach or just go fast on the water, taking a jet and speed boat tour in Curacao is the best way to feed your need for adrenaline. One of the most exciting things to do in Curacao is to go snorkeling in the clear warm waters of the Caribbean Sea. You will be fascinated by the colorful marine life you will view as well as be amazed at the coral reefs which are brimming with life. You have many options for excursions that will take you to Shete Boka National Park and Playa Lagun to beach hopping and exploring the turquoise colored waters to a private speedboat excursion that takes you to the best snorkeling opportunities in Curacao. You can decide on what type of underwater adventure you want from viewing a shipwreck to feeding the sharks to just swimming with sea turtles just off shore. No matter what snorkeling excursion you choose, you will understand why many travelers are fascinated with snorkeling in Curacao. 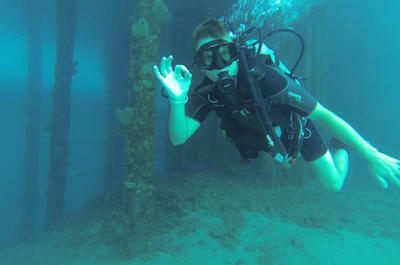 Scuba diving is one of the most interesting things to do in Curacao while you visit this island paradise. You can choose from many different excursions that range from beginners to expert dives as well as specific PADI training classes. When you scuba dive in Curacao you will be amazed at the brightly colored marine life and different formations of reefs. You can choose the length of your scuba diving package which can be a half-day lasting 3-hours or a 4-day certification and training class. Another bonus is you can add an excellent land safari option to make for a spectacular full-day of adventure. With the many shipwrecks, tropical fish and clear warm waters you will enjoy scuba diving with expert guides which makes scuba diving special while you visit Curacao. Swimming with Dolphins at the Dolphin Academy is a great family-friendly thing to do in Curacao to watch, touch and swim with these fantastic aquatic mammals. Located in Willemstad within the Curacao Sea Aquarium, Swimming with Dolphins at the Dolphin Academy has become one of the most memorable things to do in Curacao when you visit. 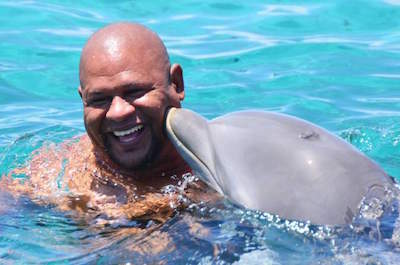 You can decide on several different experiences which include just watching the acrobatics of dolphins as they jump through an obstacle course, petting these spectacular animals while in knee deep water, swimming or snorkeling or even scuba diving with dolphins can be arranged. You can also attend special classes that offer training exercises, so you can become an expert dolphin person. You and your children will marvel at these animals as you learn interesting facts while you swim with dolphins at Dolphin Academy. While you are in the area, you should try Chill Beach Bar and Grill for a cold island libation or the perfect Caribbean lunch for more exciting things to do in Curacao.